How do you find the best divorce lawyer for women? From primary breadwinner to stay-at-home mom, women take on a variety of roles to support their families. Women are often the center of it all, making a home comfortable and secure and ensuring that things run smoothly. When divorce threatens to destabilize that home, you want a skilled divorce attorney who can protect your quality of life and minimize the impact on your family. At Alexandra Geczi, PLLC, we are dedicated to helping women achieve freedom through divorce. Divorce doesn’t have to ruin you — it can set you free. When a marriage becomes dysfunctional, divorce can set a family free so that they can live more fulfilling lives. This wisdom comes from years of family law experience. Collectively, our divorce lawyers have decades of experience handling divorces and family law matters, such as custody battles and co-parenting negotiations, complex property division and high-asset divorces, and spousal maintenance and alimony issues. Our combination of divorce litigation experience and a collaborative approach has made us experts in minimizing conflict, even in high-stress situations. Contact our Dallas office to speak with our team to learn more. Are You a Bulldog Lawyer? At Alexandra Geczi, PLLC, our team of experienced divorce attorneys understands better than most what happens you put two bulldogs in a ring together. Years of litigation have shown us that when divorce escalates into battle, no one wins. Unfortunately, many of our cases involve aggressive divorce lawyers on the other side. However, by focusing on conversation and collaboration rather than bulldog litigation tactics, we can minimize conflict when emotions flare and strategically negotiate victory through settlement. When you want to keep your private life out of the courtroom drama, then traditional, litigated divorce is not an option. Mediation is a process in which a neutral third party facilitates communication to help the parties reach a settlement. Mediation can be part of the traditional, litigation-based divorce process and can keep things from escalating to trial. In contrast to mediation, collaborative law is a formal process outside of traditional litigation and involves additional third parties – such as financial advisors and mental health professionals – to guide the parties to an agreement. Both options have pros and cons, and an experienced divorce lawyer can work with you to explore your options. Can I Get Spousal Maintenance or Alimony? The Texas Family Code sets out specific guidelines for when spousal maintenance is appropriate. If you do not have the resources, education, or earning potential to provide for your “minimum reasonable needs,” then you may be eligible to receive spousal maintenance. The amount and duration of spousal maintenance will vary based upon the length of marriage. Regardless of whether you qualify for spousal maintenance under the Texas Family Code, you can also negotiate contractual alimony. The terms for contractual alimony differ, and you should consult with an attorney regarding your options. Will I lose custody of my children if I’m not the primary income earner? The Texas Family Code provides guidance on custody and visitation, keeping the best interest of the child in mind. There are a variety of factors that courts look at in determining who is the “primary parent.” Factors include primary caretaking responsibilities, work schedules, and the person’s ability to spend time with the children. The Code also allows for mutually agreed upon visitation schedules, and our team of divorce professionals can work with you to collaborate and create possession schedules and co-parenting plans that work for the whole family. Contact our Dallas office to speak with our team today. Will I Have to Pay My Husband Spousal Maintenance or Alimony? The Texas Family Code sets out specific guidelines for when spousal maintenance is appropriate. If you were the breadwinner, you may have to pay your husband spousal maintenance if he does not have the resources to provide for his “minimum reasonable needs.” Our team of skilled attorneys have the knowledge and experience to minimize the exposure to paying spousal maintenance for women breadwinners. As the Primary Income Earner, Will I Lose Custody of My Children? Our hybrid approach of combining litigation experience with collaborative conversation has garnered the respect of our peers, won us numerous honors and awards, and helped hundreds of families find freedom. If you’re interested in learning more, explore our site for more information, email us, or call now to speak with our Client Concierge. The offices of Alexandra Geczi, PLLC are headquartered in Dallas, Texas, and we’re rated as some of the best divorce lawyers in the state. We serve Dallas and its surrounding areas, including Plano, Richardson, Allen, Frisco, Rockwall, Rowlett, Highland Park, Park Cities, Lakewood, and more. 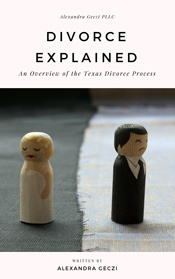 Download Our E-Book Explaining Divorce Today! It’s more than a testimonial. It’s a journey. and you were meant to shine. There is a diamond inside each of us, and we are meant to shine and be free to live a life we love. 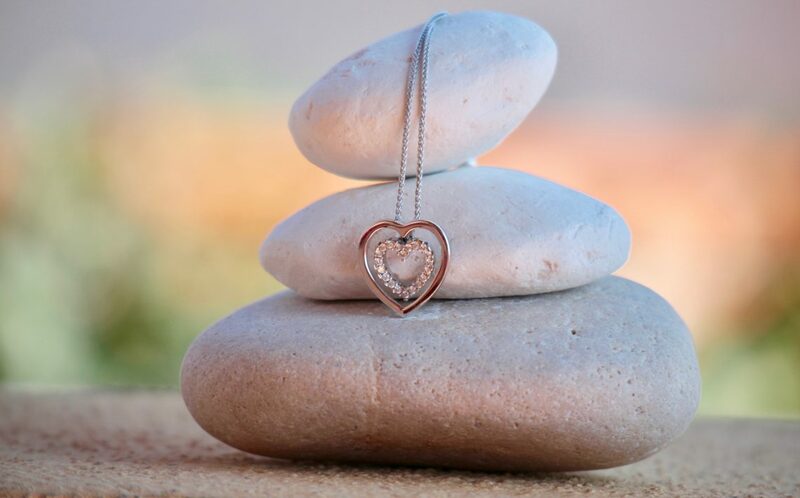 Embrace your inner diamond and forge a path that will lead to freedom and a better life. What stage of the journey are you in? For those who are not quite ready to start their journey, we offer pre-divorce strategies and divorce planning sessions to get you there. You get checklists, tools, and resources. You envision the possibilities and explore your options in a safe, judgment-free environment. You become prepared so that, when the time is right, you will feel confident knowing you’ve made the right choice. For those who are ready to dive in, we offer the Diamond Divorce™. You get support and guidance along your journey. Like a concierge, our services focus on your unique needs, making you feel like a V.I.P. The Diamond Divorce™ offers a better way to resolve family conflict and guidance toward the life you want to live. Talk to an experienced Texas divorce attorney about your divorce, child support, child custody, and other family law matters today. We are conveniently headquartered in Dallas, Texas. However, we help clients throughout the state of Texas, including those in Dallas County, Collin County, Tarrant County, Denton County, Ellis County, Rockwall County, and more. We want to work with you, wherever you are! 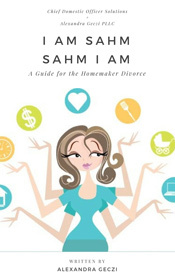 Download our e-Book for Stay-At-Home Moms and the Homemaker divorce Today!